Yoo-hoo! Are you the spouse, adult child, or too-old-for-handprint-crafts child of a mother? Then you probably feel a tickle at the back of your mind, a whisper telling you you're about to screw up. What could it be?! Have you forgotten to flush? Is the cable bill past due? Did you donate to the Cruz campaign? Or did you forget that tomorrow you're supposed to celebrate the day you irrevocably changed your mother's belly button from an innie to an outtie? Has another year gone by that you couldn't be bothered to clue in to the social context? Ads for flowers, chocolates, and 345 inbox reminders to take advantage of free shipping on Edible Arrangements should have kicked you into action. Tomorrow is Mother's Day and you're about to set the record for eliciting disappointed sighs from the woman who birthed or adopted you. If you have two moms, you're about to double the disdain. 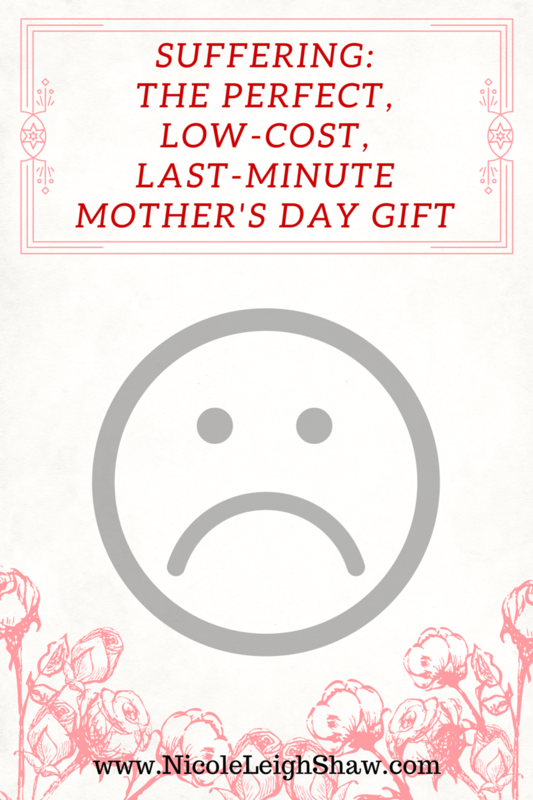 But it's not too late to give mom the one thing she wants most: your suffering. What else could a woman whose episiotomy set hospital records want? Ask yourself, Is my mother a martyr? You protest. But be honest. Your mom is a martyr. Am I right? I'm right. I know I'm right because every mother, even the ones---especially the ones---that swear they aren't, are martyrs some of the time. Open your eyes. Consider the facts. Has she ever sighed heavily while picking up someone else's dirty socks from the living room floor? Has she ever made a family member's favorite dinner---on her own birthday? Has she ever started a major cleaning task, say, getting on her hands and knees to clean the baseboards because "someone has to do it, and no one bothered to be available when I was up at 6 am getting the good plates out so I guess now's the time and I'm the only person who seems to know where the rags are kept," during an active social gathering in her own home, and then retreat to the bedroom to "eat my meal alone, thank you, no I don't want company, no I'm not crying that's allergies"? Has she convinced her children that everything, from her varicose veins to the fact that she never took a semester abroad in college, is their fault? Ask yourself again, Is my mother a martyr? "Maybe a little. But don't tell her I said that!" You know what every martyr really wants? "To die for her cause so that history will never forget the struggle!" No. She wants you to suffer. This Mother's Day, give her the gift she's been passive-agressively asking for since she she dropped her painting class so that you could take Tae Kwon Do. Be uncomfortable. Sure, you could wait until you become a parent and are saddled with half your genetic equivalent, whose sudden-onset stomach bug leaves you scrapping vomit out of a car seat with the shopping rewards cards clipped to your car keys. You could call her in that moment and say, "For you mother, I have paid the vomit price. I, too, have become martyr." Or you could show her how much you care right now! 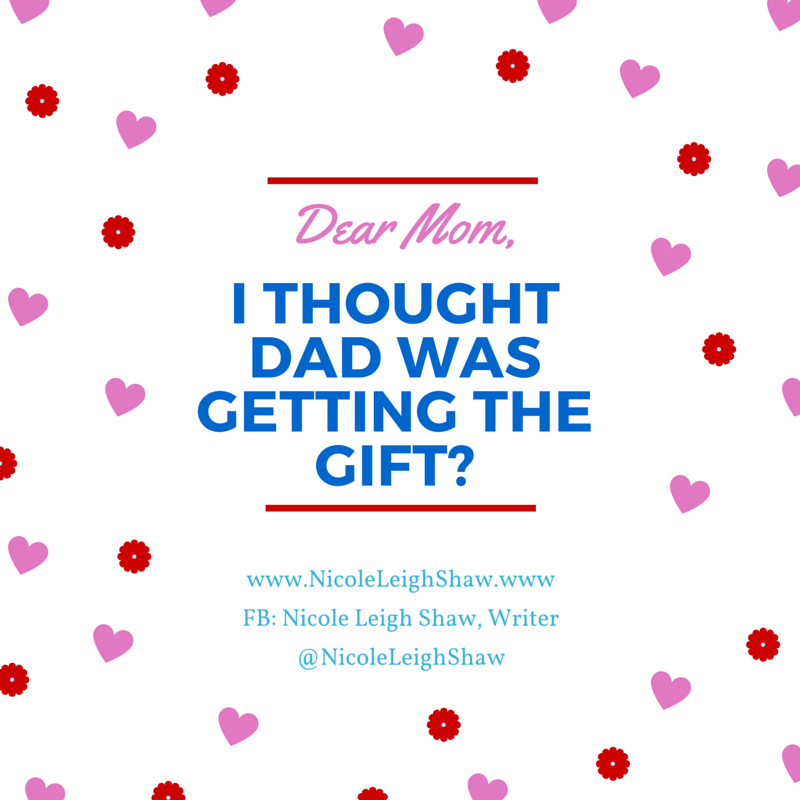 "How can I inconvenience myself for my mom this Mother's Day, when all I really feel like doing is getting her a token gift I didn't bother wrapping and then taking a long nap while she runs to the grocery store?" It's nothing. It's next to nothing. It's almost no thing at all. Give her your blood, sweat, and tears. These are the things your mother has shed or endured on your behalf. Sometimes to keep you healthy and safe, and other times just to make sure your soccer team had enough snacks. Why, you could risk cutting open your finger on dinted aluminum gutters when you finally clean them out like you said you would back in the 12th grade. You're 35 now, but it's never too late to say, "I realize I have dismissed your needs for two decades, but that doesn't mean I don't care." You could work up a lather, literally, cleaning your own DNA from inside and around the toilet. Is there anything more sentimental than telling mom, "No, you sit. It's my turn to mop up the household's collective urine"? And you could cry. Whether it's because you haven chosen to wait until next weekend to see Captain America: Civil War in favor of taking mom to see My Big Fat Greek Wedding 2, or because you put a little soap in your eye and fake it, tearfully thank her this Sunday for being your everything. (Bonus points if you pull this stunt in front of your wife who mom has never liked.) Just find a way to well up and let mom know that your pain is a gift to her. This Mother's Day, remember that it's never too late to make it hurt so good. 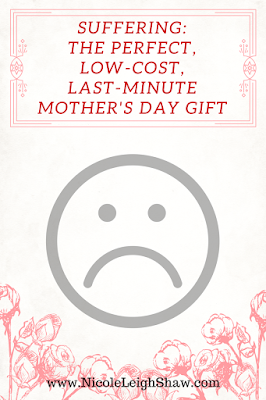 You know what it's also not too late to get mom? An e-book like this one, I Just Want to Pee Alone. Or buy the hardcopy and she'll get it by Tuesday, not only showing that you love her, but that you're a a little bit of a failure so that she gets to continue to be a little bit of a martyr. Those hyperlinks bring you to one of the greatest books a mom could ever get: a book filled with sarcasm and a few heartstring tuggers. 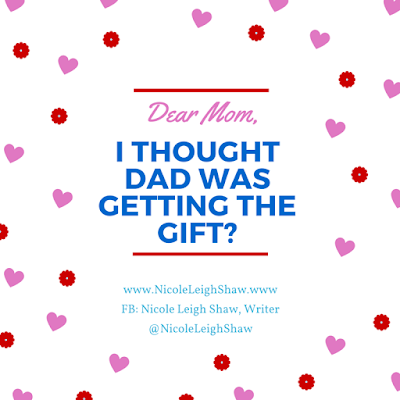 Essays written by and for moms. So, don't be a jerk. Get mom the book. After all, she gave up her youth, beauty, and sanity for you. PS--Those are affiliate links back there, meaning that if you click one of them and buy a copy of the book, I get 2, maybe 3 cents from Amazon.com (full disclosure).